Hello, folks! Our challenge this week is FABULOUS FLORALS over on the Simon Says Stamp Wednesday Challenge blog! The design team is using some super fun Hero Arts products this week. You don't have to use them to play along, but if you have some, we'd love to see what you do with them! 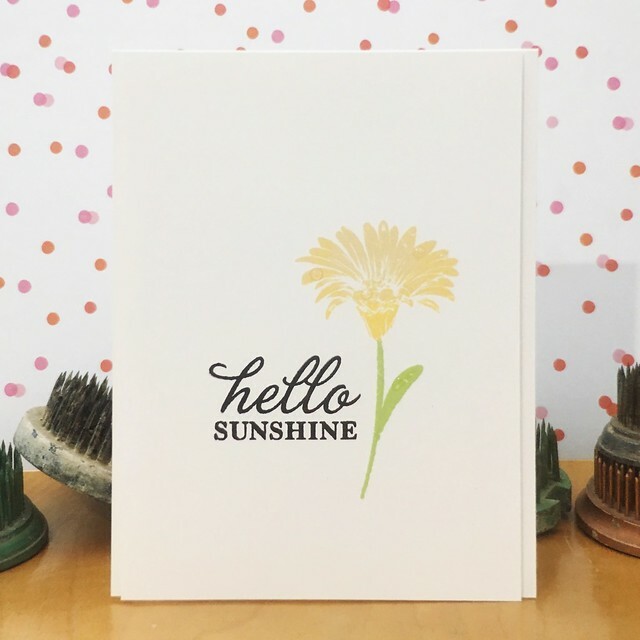 I used the super sweet Hello Sunshine Daisies from Hero Arts for my card. I love how these stamps lend themselves to perfect clean and simple designs! Now it's YOUR turn! Create your own take on the FABULOUS FLORALS inspiration and link it up over on the Simon Says Stamp Wednesday Challenge blog for your chance to win a $50 Gift Certificate to the Simon Says Stamp store! WOOT! WOOT! Sweet! I like your CAS design using this pretty set! It's Time to Squeeze 'em!